Variations and Concert Finale. Composed by Traditional. Arranged by Jerry Brubaker. Concert Band; Performance Music Ensemble; Single Titles. Belwin Concert Band. Christmas; Secular; Winter. Part(s); Score. 254 pages. Duration 4:42. Belwin Music #00-29608. Published by Belwin Music (AP.29608). 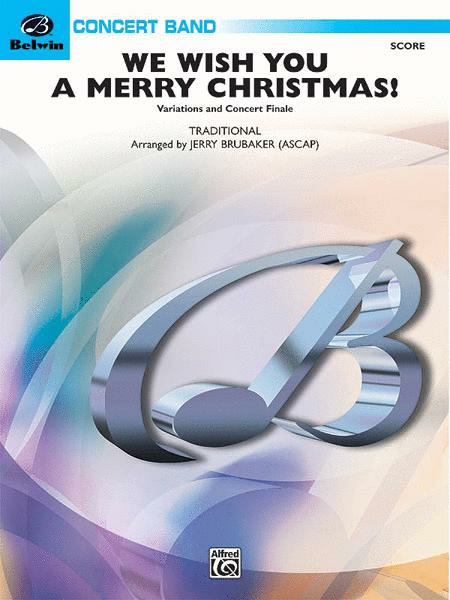 Jerry Brubaker's new concert band arrangement of the very popular We Wish You a Merry Christmas explores a wide variety of musical styles and tempi. 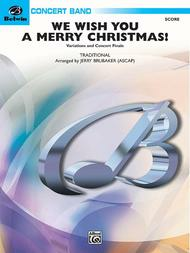 It features an exciting build up to a powerful ending, making it the perfect closer to any Christmas concert. Optional electric bass and additional percussion put the Star on top of the tree! (4:42). Preview: We Wish You a Merry Christmas! When I first hear this song, I thought my band and I weren't going to pick it up. But the first day we played it, we picked it up. This arrangment of We Wish You a Merry Christmas is beautiful.